Nat M. Wills can be said to be one of America’s first modern comedians. A popular vaudeville entertainer and recording artist from the early 20th century. He is best known for his "happy tramp" persona, performing satirical numbers, and parodies of popular songs of the day. Modern American stand up draws it roots from this art form among various other traditions that were popular in the late 19th century. The material itself often used stereo typical portrayals of ethnic groups through crude impersonations (most commonly African-Americans). Unfortunately the racial tones in American vaudeville performances were very common during its time, and is evident on Wills' "No News" among several other of his recordings. 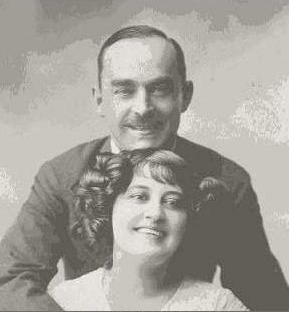 Wills was born in Fredericksburg, VA in 1873. His birth name is said to be Louis McGrath Wills, but very little is know about his early life. After his family moved to Washington D.C. he began his career on the stage at a young age, and performed in various shows throughout the United States. Wills died at the age of 44 in 1917. He was an auto enthusiast who was said to be working on a car in his garage with the doors closed, and succumbed to Carbon monoxide poisoning. Automobiles were relatively new at the time, and it is possible that he was unaware of the poisonous fumes that were emitted from a running engine, some also speculate that he may have committed suicide. His recordings maintain a lightheartedness, but my favorite track "Saving Up Coupons for Mother" is pretty dark as he sings about puffing away on cigarettes for coupons to ironically purchase a tombstone for his “Pa”. Nat M. Wills - "No News (or What Killed The Dog)"